Are you looking for a low cost high quality insurance for your truck, but don't know where to start? Look no further, Rainbow can do all the work for you, helping you find the most competitive policy, tailored to meet your individual needs. Working alongside a panel of top insurers in the UK specialising in HGV insurance, they can offer the most comprehensive and competitive policies available. Rainbow do not charge any fee or commission for this service, all quotes are non-obligatory, so what are you waiting for, complete the quick and simple application form and let us do the hard work. Get the best cover on your HGV insurance, at the most competitive prices! &EmptyVerySmallSquare; Get all the major insurers fighting for your business. To make the process easier for our customers you can download our App, available for any device, so you can get your non-obligation quote on the move. Rainbow understands how difficult is to get the right HGV policy for your needs, that's why we want to help. Let us do the hard work for you and get the insurers fighting over your business, Start your free quote Now! Get an online quote any time of the day or night. 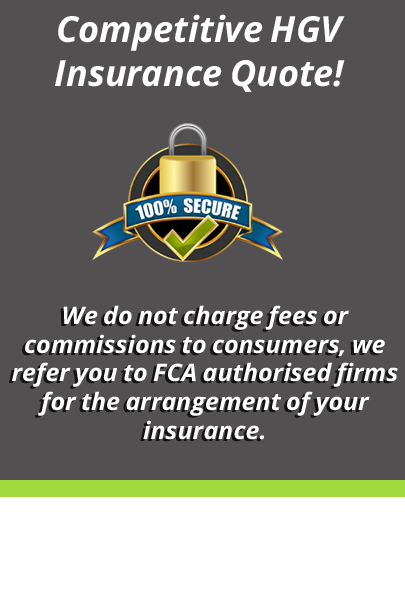 rainbowhgvinsurance.co.uk is a website operated by Rainbow (UK) Ltd. Rainbow (UK) Ltd is fully authorised and regulated by the Financial Conduct Authority - FCA Number 674557. Our trading address is Unit 8 Saxon House, Upminster Trading Park, Upminster, Essex, RM14 3PJ. Our other contact details are specified on our website. rainbowhgvinsurance.co.uk, may receive a fee/commission for either referral or completion of your insurance quote request. rainbowhgvinsurance.uk does not charge a fee to the applicant. Copyright © 2019 Rainbow UK. All Rights Reserved. www.rainbowhgvinsurance.co.uk is a website operated by Rainbow (UK) Ltd. Rainbow (UK) Ltd is fully authorised and regulated by the Financial Conduct Authority - FCA Number 674557. Our trading address is Unit 8 Saxon House, Upminster Trading Park, Upminster, Essex, RM14 3PJ. Our other contact details are specified on our website.